Photograph of a page in a ledger found in the Hickman County, Kentucky courthouse. I love the flourish under the name. 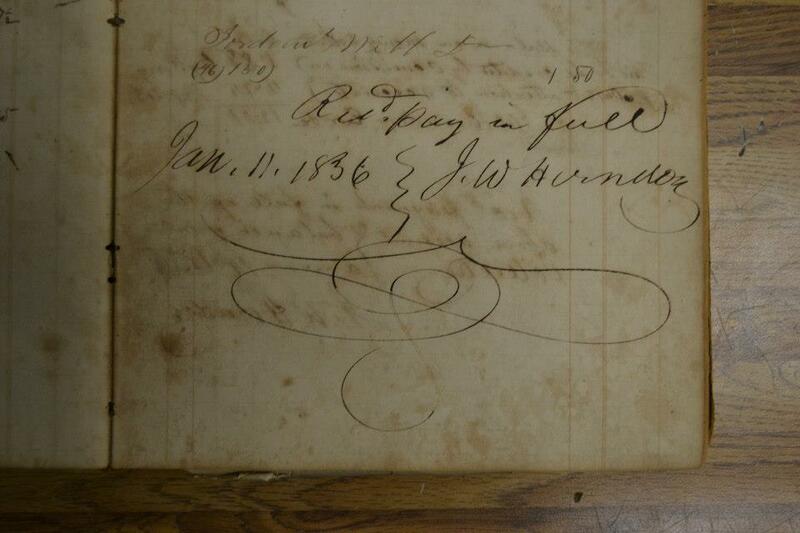 Dated Jan. 11, 1836.